17 March 2017, Hong Kong - Aircraft Recycling International Limited (“ARI”, the “Company”), a member company of CALC (“China Aircraft Leasing Group Holdings Limited”, SEHK stock code: 01848.HK), the first full value-chain aircraft solutions provider in Asia, took delivery of six B737-700 aged aircraft from Xiamen Airlines today, which marks the first old aircraft acquisition since its establishment. The operating model and financial arrangement of this deal will lay a practical foundation for the asset management of mid-to-late-life fleet to the Company, and to the China aircraft recycling industry at large. ARI won the bidding in December 2016 at China Beijing Equity Exchange. These six best-selling aircraft, aged 16-18 years, are planned for disassembly and parts sales or release with an aim to enhancing fleet value through professional asset management. Christina Ng, Deputy Chief Executive Officer and Chief Operating Officer of ARI, commented, “ARI strives to enhance the value of retired aircraft fleet through professional aircraft asset management. This is to support the development of China's aviation recycling industry by completing the last part of aircraft full value-chain and to support the recycling economy marked by high technology and high added value. The transaction of aged aircraft with Xiamen Airlines stands out as a significant milestone in the history of ARI, enhancing the Company's room for profitability and development. It also creates synergy to the aircraft recycling center if the aircraft are to be disassembled and sold in parts. In addition, the completion of the deal in a remarkably short period of time represents an eloquent testimony to ARI's professional team with extensive expertise and their efficient and well-manged execution. Meanwhile, the successful delivery should also be credited to the efficient support by Xiamen Airlines, who has engaged us and arranged the aircraft inspection work within an extremely tight schedule. 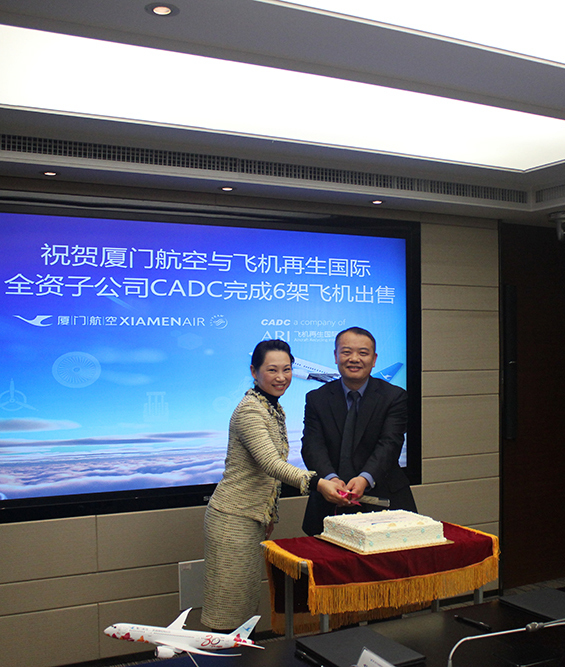 We look forward to exploring further cooperation opportunities with Xiamen Airlines." Aircraft recycling is still an infant industry in China as the market is highly fragmented with a limited number of small operators. As industry data shows, up to 100 retired aircraft in China are usually moved to Europe and America each year for decommissioning or freighter conversion. ARI believes that it is making increasing sense for such operations to be conducted in China instead to cater to the demands from airlines and aircraft parts suppliers as well as to benefit local economy and labour force. Along with providing high quality and professional service, ARI will also expand its scope of service, including aircraft trading and consignment, asset management, consultancy service, data management, business training and more. With its aircraft recycling centre, the largest of its kind in Asia, ARI will leverage on its first-mover advantage in China and even Asia to embrace the thriving development of China's aviation recycling industry. © Copyright 2015 Aircraft Recycling International Limited.